Congratulations to Mrs. Loftis for being named our employee of the week for the week of October 1st! 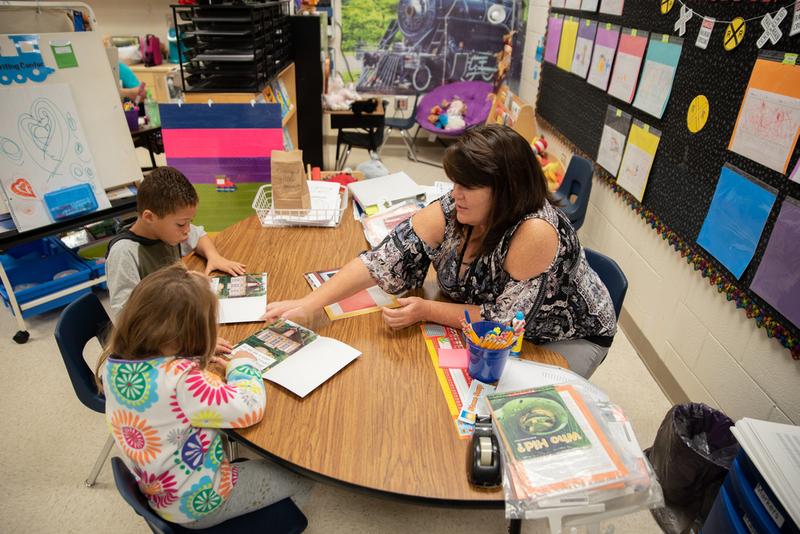 Amanda Loftis is a K-5 teacher at Flat Rock Elementary. She has been an educator for 11 years and still enjoys every minute of it. When asked about teaching, Mrs. Loftis said, "I feel like I learn from them as much as they learn from me. I love being their biggest supporter at school. Each child is so unique and special. We laugh, smile, and even cry together sometimes. Each day is a new adventure!" She was nominated by a parent for continuing to be a role model to former students and "reminding them of their goals and dreams. Mrs. Loftis is instilling way more than an education in our children, she is helping our children become educated, caring, and loving young men and women!"